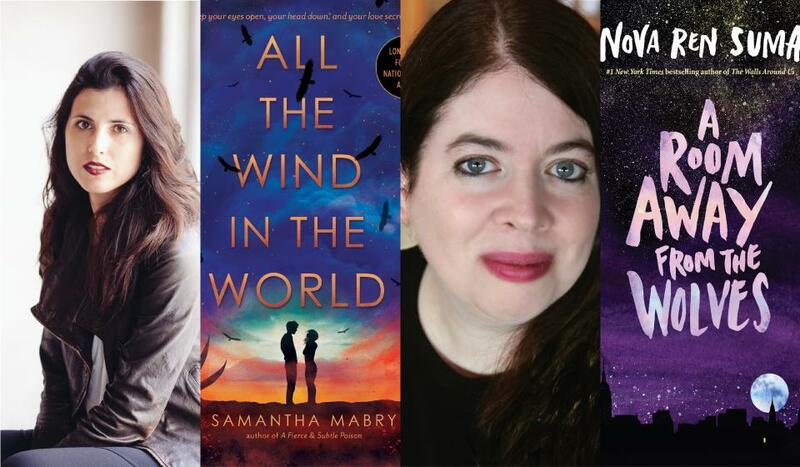 Authors Samantha Mabry and Nova Ren Suma will discuss their books ALL THE WIND IN THE WORLD and A ROOM AWAY FROM THE WOLVES. Bina has never forgotten the time she and her mother ran away from home. Her mother promised they would hitchhike to the city to escape Bina’s cruel father and start over. But before they could even leave town, Bina had a new stepfather and two new stepsisters, and a humming sense of betrayal pulling apart the bond with her mother--a bond Bina thought was unbreakable. Sarah Jac Crow and James Holt have fallen in love working in the endless fields that span a bone-dry Southwest in the near future--a land that’s a little bit magical, deeply dangerous, and bursting with secrets. To protect themselves, they’ve learned to work hard and, above all, keep their love hidden from the people who might use it against them. Then, just when Sarah Jac and James have settled in and begun saving money for the home they dream of near the coast, a horrible accident sends them on the run. With no choice but to start over on a new, possibly cursed ranch, the delicate balance of their lives begins to give way--and they may have to pay a frighteningly high price for their love.